Oct. 1st is the second happiest day for me after my birthday. This day remarks the first day of new year, the new production starting on old "sake calender". 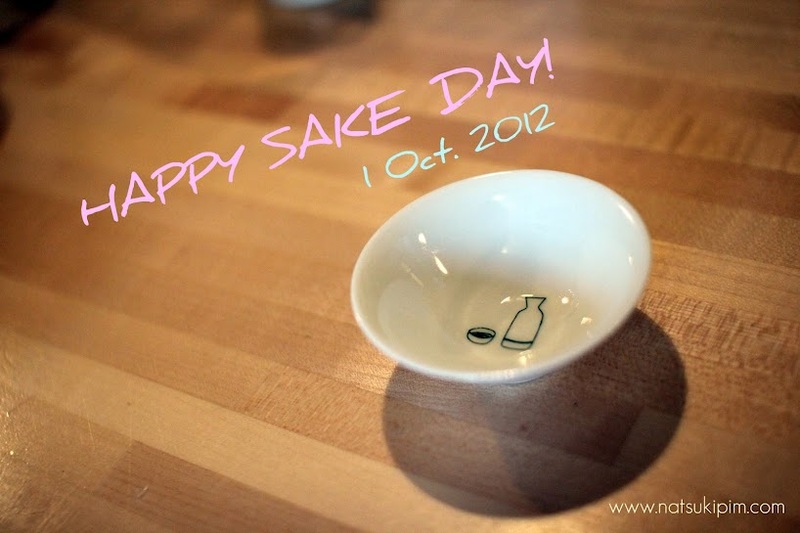 Happy "Sake Day", Enjoy drinking Sake today! Mari chan and I had visited last summer. my friend Chieko's having wedding celebration in Tokyo. This month is dedicated to her. Happy Wedding Chie chan! polished until 50%, and brewed with Kochi yeast to make clean, light and transparent sake. it has only 14.6% AVV, has light and soft textures and summery flavors of mint and soda. that gives you refreshing feeling for the hotter summer seasons. My visit to "Ginrei Gassan" sake of Gassan Sake Brewery. took me to the restaurant Tamaki on the night of my arrival to Yamagata prefecture. And what surprised me, is that there was a British flag welcoming me at the entrance! The hundreds of Hina dolls for Hinamatsuri, Doll / Girl Festival in March 3rd. 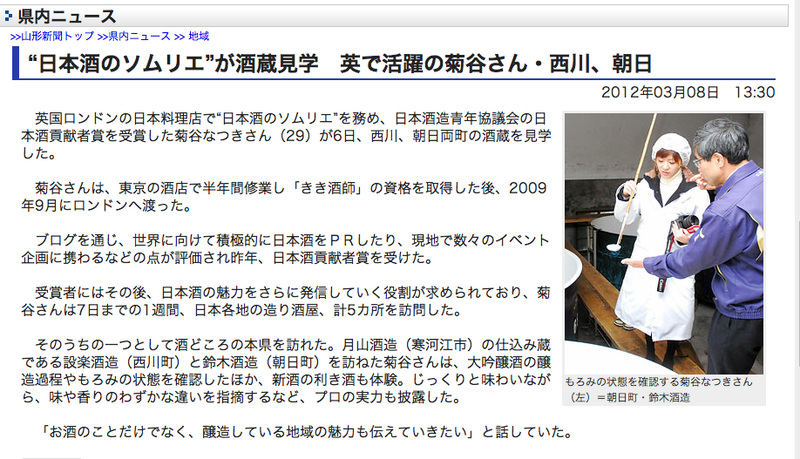 since lots of products were transported to Kyoto through Mogami River in Yamagata. from different periods in the restaurant welcoming me. Hina Dolls, which has been loved throughout the ages. with beautiful Hina dolls in every March. From mother to daughter, daughter to grand-daughter. Mothers' love has always been passing down. like my mother did to me. The special Tamaki sake made by Gassan Brewery. Ushiojiru, a salt-based soup with clams in the shell is popular dish for Hinamatsuri. because a pair of clam shells fits perfectly, and no pair but the original pair can do so. The dining table was also full of Hina festive charms. I am full of happiness. No girl can hate the Hinamatsuri. So much of the sceneries around Gassan brewery was about Mt. Gassan. moisten in summer time, get dressed in autumn and sleep deeply in winter. as if they replied back to the this beautiful mountain. That was the conclusion I reached, at the end of my visit to this region. as a prize for Sake Communicator Award I received last year. "Ginrei Gassan" sake of Gassan Sake Brewery. and foothills of sacred Mt. Gassan, one of the three Dewa Mountains. Mt. Gassan holds heavy snow and they do not melt even in the summer time. This was in early March, yet the brewery was covered completely white. Suzuki Brewery (1700, Asahi town) and Yahataya Brewry (1780 Sabae city). This time, I had visited two breweries in Nishikawa and Asahi town. 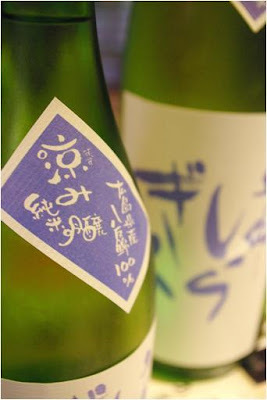 Long and cold climate in the area enriches the aroma and flavor of their sake. which takes 300 to 400 year to spring out. and contains optimal levels of carbon dioxide, oxygen, and minerals. and the green rice fields where the brewers spend their time producing sake rice. I would love to come back to Sagae city when the snow melts to see these sceneries. At ROKA, their sake "Ginrei Gassan 'Gassan no Yuki', Junmai Ginjo"
and beautiful flavors like mint and fresh herbs. with the help of its unique water. and the president of research and development department had guided me the brewery tour. which has much more traditional settings and makes 200 koku (20,000 magnum bottles). cleaner and lighter sake, whereas Asahi town one makes deeper flavor with fuller body. This is Nuka pickled vegetable made by Ms. Wakako Suzuki, a director of Gassan Brewry. The vegetables was grown in her garden as well. Toji Mr. Nunomiya and everyone from the brewery, Thank you so much for welcoming me so warm. and putting yourself within the appearance of the region. Leaning the people and the history that create the each single face of sake. That is why I cannot stop going on my sake journey.